As chilly and long as our winters are, there’s no denying the fact that our summers pack quite the punch. You’ll want to approach this summer with a fully effective air conditioner, which has been properly maintained and cared for, and is as efficient as possible. 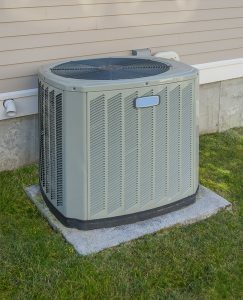 There are a number of professional AC services in SLC that help with air conditioning efficiency, in addition to indoor air quality products that can help too. But there are other things you can do, simple tasks, that don’t cost you anything and help improve the efficiency of your system even more so that you don’t have to worry as much about costly energy bills. What happens if you lose your gas line? What relationship does that simple copper pipe have to the comfort control of your home? It depends largely on the scope of your HVAC system and what time of the year you lose gas, but the answer is almost always that it will have a pretty big impact. What Uses Gas in Your Home? There are a number of components that use gas in your home. The first and most common is your furnace, but you will find that your water heater may also use a gas line and some packaged air conditioning systems use gas for heating components. Heating – If you have a gas line, it’s very likely that your heating system uses gas as an energy source. It’s the least expensive of the three major energy sources (oil, gas and electricity) and gas furnaces and boilers are extremely efficient. In terms of how much gas you will use, one cubic foot of gas contains 1040 BTUs of heating energy per hour.So, if your furnace offers 100,000 BTUs of heating capacity, it would use 96.15 cubic feet of natural gas when running at full capacity. Keep in mind, though, that a gas furnace is rated with an AFUE rating. This is the percentage of the fuel consumed that is actually converted to heat. So, if your AFUE rating is 90%, your actual BTU production would be 90,000 for the same 96.15 cubic feet of gas. The cost of natural gas varies by location, but is generally around $1 per cubic foot.Boilers are very similar in their gas consumption rates. Boilers are rated for maximum output – so if you have a 15kW boiler – meaning it will burn the equivalent of 15 kWh of gas per hour when running at full capacity. Keep in mind that this is the maximum output. If you only have one radiator open, the actual rate may be much lower. Water Heating – For a water heater, gas rates are charged by kWh, just like your boiler. The total is usually significantly less than for a boiler, but the same mechanics apply. Your water heater should have a placard or sheet that lists its maximum production per hour so you can determine how much gas it uses per hour when your hot water is in high demand. Gas is a highly volatile substance and while there are a number of safety measures implemented in your home to protect your family, it’s important to ensure the gas lines are well maintained. Annual maintenance is a must to keep the gas working properly. If you do notice a leak or sudden loss of gas, don’t call a contractor – call the gas company immediately as it could be an emergency. Are Your Air Ducts Able to Handle a Heat Pump? Between the concerns about climate change and the rising costs of energy production and consumption, there is a lot of experimentation with new technology. Standard choices are being re-evaluated and new designs are changing the requirements for various parts. In homes and other buildings where systems were designed and installed according to the cheaper energy parameters prevalent in the day, it may be time to consider drastic changes to increase the efficiency and decrease impact on the carbon footprint. Room for improvement can be found in many corners. One appliance that is getting a lot of attention in Salt Lake City is heat pumps, a device that transfers thermal energy from one location to another, usually in the direction of from a colder temperature to higher and generally the opposite of the natural flow. While compressor-driven air conditioners and freezers are technically heat pumps, heat pump is the term that usually implies one of the less-common devices in the class that are not dedicated to refrigeration-only. A heat pump installation maintains a thermally conditioned-space can be used to provide either heating or cooling, depending upon whether the environment is cooler or warmer than the conditioned-space. Typically pumps utilize some thermal energy from the environment itself, such as the natural heat beneath the Earth’s surface. By simply transferring the energy rather than producing it, heat pumps are being more seriously considered as attractive alternatives to provide an efficient and clean system for conditioning public and living spaces. In considering a change from an existing system to a heat pump, there are many details to compare to see if it makes any sense at all. The overall local climate (cool or hot) in general, and the availability of geothermal heat, in particular, are two major factors. Since a heat pump typically moves conditioned air through ductwork, the advantages of the change are much more realistic with a system of pre-existing ducts such as a forced air furnace or central air-conditioning unit. While a heat pump often requires a larger volume of ducts, the old network of metal tunnels was often over-sized for inefficient furnaces and should do fine in a conversion to a heat pump. Since the required formulas are dependent upon variables such as size, distance, volume and oomph, the design is strategic and makes all the difference. Consulting with a trained and experienced professional such as (Your Company) is critical to the success of the conversion. Do the homework to get the best recommendation for your home, and if you need help just call Design Comfort. Posted in Heat Pumps, Heating, heating system installation | Comments Off on Are Your Air Ducts Able to Handle a Heat Pump? What do These Noises Mean Coming From My Furnace? During a bitterly cold winter night, in the luxury of our homes, we have the ability to adjust the temperatures to comfortably walk barefoot down the hall. It is easy to take our heating systems in Salt Lake City for granted, but without proper maintenance, they can become noisy and irritable, growling with mysterious sounds of dissatisfaction and ominous groans, warning that slippers and more blankets may soon be necessary. At the beginning of each season, it makes good sense to care for the furnace that is going to take care of you. Scheduling regular heating systems maintenance and filter change with Design Comfort ensures a longer life and increased efficiency. At the first sound of trouble, checking the filter can often be a quick relief. As air passes through the furnace, a filter picks out much of the dust and some heavier particles that have come along, gotten snagged and accumulated over time to create a solid blockage. This filter can become clogged and force the furnace to work much harder to push the air through the blocked passage. Located just inside the front panel of the furnace, the filter is very accessible and easily exchanged for a clean one. This should be the very minimum of regular maintenance and is simple enough to do that it can make anyone feel handy. Heated air and cold air returning to and from the furnace travel through ductwork which is often metal (those long, silvery boxes tucked up between joists in your basement and covered by a nasty layer of cobwebs). The vibration of footsteps across the floor overhead or even of just the air movement through the ducts can loosen the fasteners and rattle the metal like a rumble of thunder. Internally, there are fans and lots of moving parts in the motor. A noise coming from this area portends a repair of a more complicated nature and should have the inspection of a certified technician, a service easily provided by Design Comfort. With proper care and maintenance, furnaces are built to last for decades, providing heat and comfort to the home or office and improving the quality of life for the people inside. Call Design Comfort to ensure the efficient operation. Posted in Heating, Heating System in Salt Lake City, Scheduling Regular Heating System Maintenance | Comments Off on What do These Noises Mean Coming From My Furnace? Changing the air filters in your Salt Lake City heating system and air conditioner is an essential maintenance task. The benefits of having a fresh filter for the air circulating in your home are numerous. The better air quality is good for your respiratory health, fewer allergens permeate the air, your system runs more efficiently and you save money. So why is it so difficult to remember to replace those filters? To help prevent those issues, try some of these tips to remember your replacement schedule. Put it into your cell phone calendar. Use a calendar application that sends email alerts to remind you. Circle the day on your wall or desk calendar. Whatever method works best for you, make sure to use it and stick to it. While you are at it, set monthly reminders to inspect the filters. The EPA recommends making the switch every three months, or whenever the filter is visibly dirty. Make the day of the month the same as that of your birthday or anniversary. Bonus points if your birthday is June 25, since that combines with Christmas to take care of two replacements a year. Just remember March and September and you are all set! Three months is about as often as cars need oil changes, so do both on the same day. Drove 3000 miles already? Time to change the furnace filter. Schedule on a holiday. In the U.S., for example, Martin Luther King Day, Easter Sunday, the Fourth of July and Columbus Day are all approximately three months from one another. If all else fails, hire a professional to inspect and change the filters for you, and rely on his appointment keeping skills to make up for any memory lapses you may have. It will cost a bit more than DIY, but at least it will get done, and the maintenance will save you on the costs of wasted energy. To schedule these visits please call Design Comfort. Delayed ignition in Salt Lake City is usually accompanied by a loud banging or booming sound that resembles a small explosion in your gas appliance. In a furnace, this can be terrifying and should never be ignored. Of course, while rust and corrosion are a risk, lint and dust can be equally problematic (and are more common if you don’t heating system maintenance properly each fall). Sulfur build up is also a possibility, as it is left behind by burning natural gas. It will appear as a layer of white on the surface of the burners or the pilot light. When replacing your furnace, look for a device with corrosion resistant materials. You can learn more about these when it comes time to replace your furnace from a technician. Most importantly, be careful. It may be a small problem now, but if left to build up over time, that small boom can become a much larger one. For help with this issue please call Design Comfort. When choosing an air filter for your Salt Lake City home, there are many options. Each type of material is designed to capture a different type of particle to a different degree, so make sure you choose carefully based on the specific air quality problems your home has. Disposable – Disposable filters are the simplest and least expensive option on the market but they are usually rated as low as 1-5 MERV and don’t last very long. These types of filters are usually designed for basic mechanical filtration to stop debris from causing problems for your furnace or air conditioner and are therefore not ideal for actual air quality improvement. Fiberglass – Fiberglass filters are very common in almost all HVAC systems and are more permanent than disposable filters. They come in MERV ratings of between 4 and 12 and are highly efficient at capturing larger particles like dust, pollen and dander. These can be dangerous, however, as they fragment and can send fibers into the air. Polyester – These have a higher resistance rating than most fiberglass filters and are therefore more durable against larger particles like dust and pollen. They also don’t fray like fiberglass and are more durable over time. Electrostatic – Electrostatic filters have a charge to help collect dust particles and are usually made with multiple layers of polypropylene material. HEPA Filters – This is a completely different category of filters and is designed to capture everything as small as 0.3 microns – well below the threshold most commonly provided by standard HVAC filters. They can be purchased for your HVAC system or as standalone filters for individual rooms. There are a number of different filter types to maintain the air quality in your home. If you’re interested in getting the most out of your home’s air quality control system, make sure you do it with the best possible device available to your system. Contact Design Comfort if you’re not sure what options will suit you best.